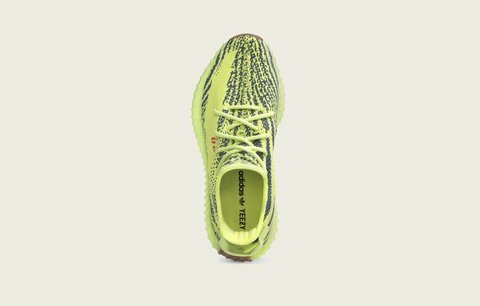 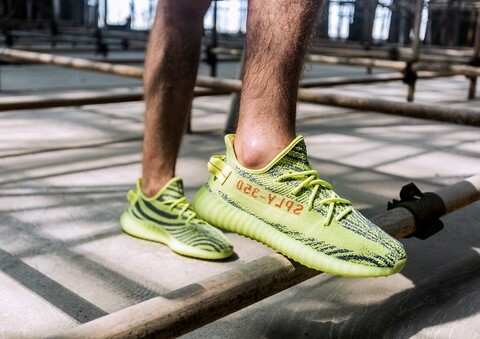 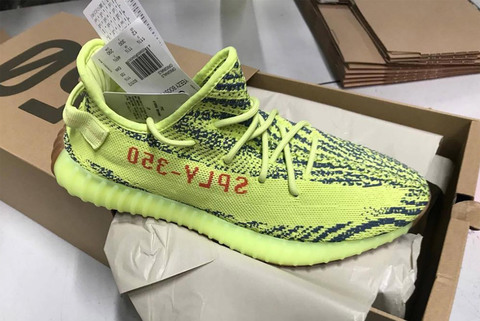 Featuring a bright yellow primeknit, which the usual Yeezy 350 V2 different coloured waves running throughout. 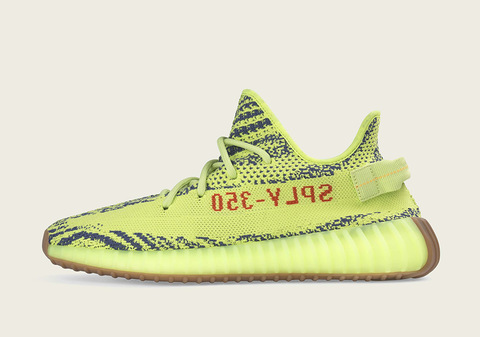 Finished off with the usual red “SPLY-350” text. The glow-in-the-dark sole was replaced with a classic gum sole. 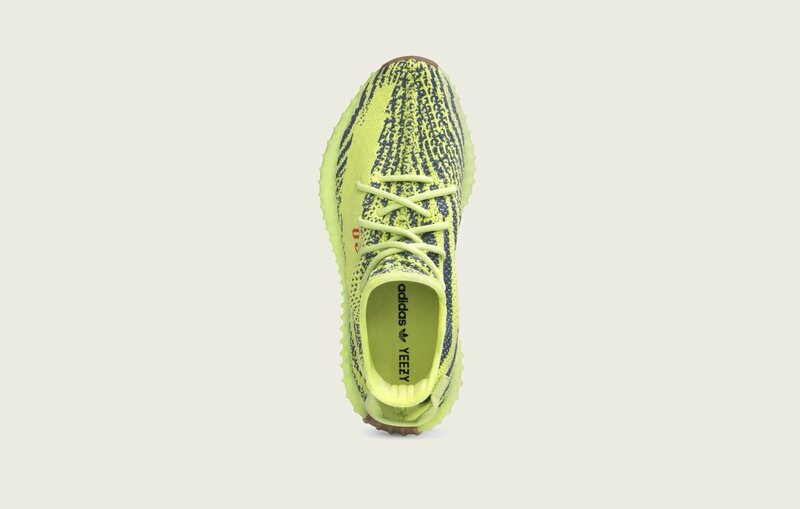 Yellow Gum sole and the new addition of the Brown Gum under sole which runs along the floor.